in 334 FFA chapters across Florida have more opportunities to learn, lead, gain real-life skills and become productive citizens. were impacted through the submission of over 1,090 award applications last year. 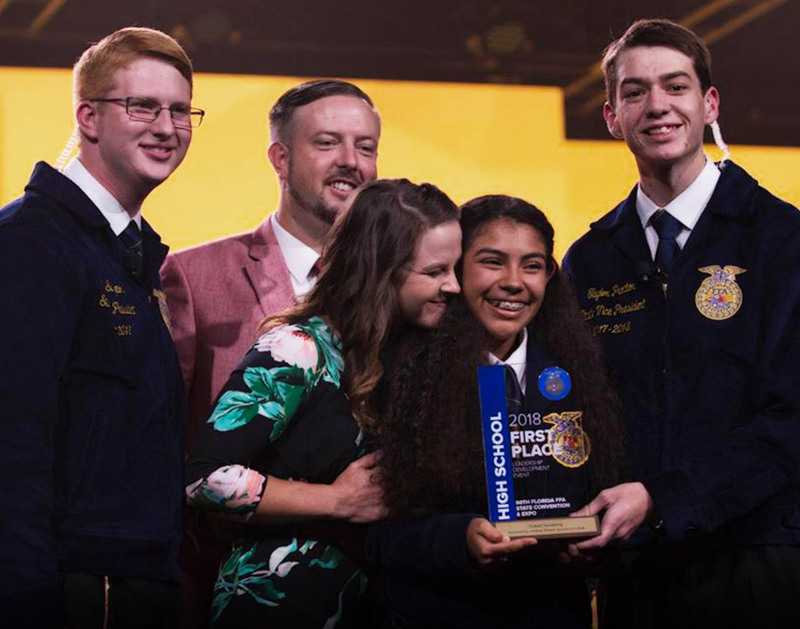 The generosity of our sponsors and donors enables us to provide high quality programs for FFA members that prepare them for success in life and give them the skills to be highly productive citizens throughout their lives. Your gift to the FFA Foundation helps ensure that the 17,338 Florida FFA members have the best possible opportunities for developing their potential for premier leadership, personal growth, and career success through agricultural education. We are an exempt organization as described in Section 501©(3) of the Internal Revenue Code; EIN 59-174734.